I got this printed Michael Kors skirt last month at Plato's Closet. 100% silk for less than $11 was a pretty great find! I wore it to work with a silk tank and my ivory blazer. 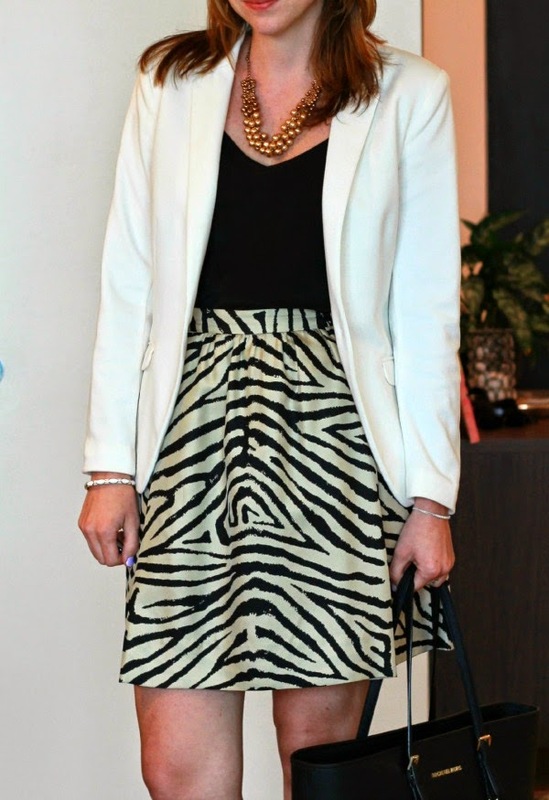 The zebra print is a little wilder than I normally go with my work wear, but it was fun to step out of the box a little bit. 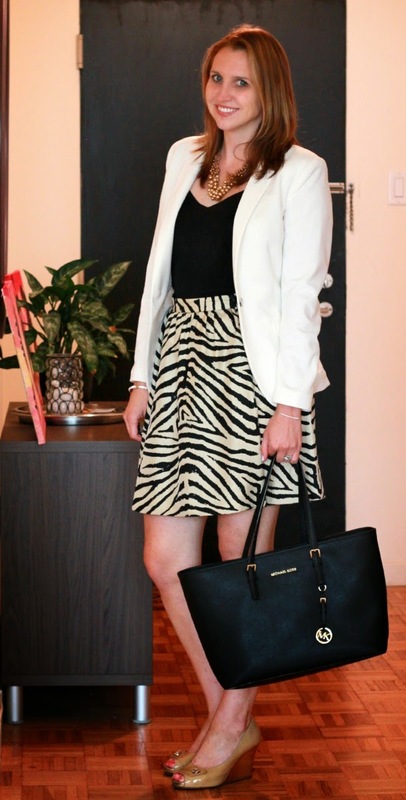 Tomorrow I am going to show a way to transition this office look into a look for a night out! Linking up with Life's a Party Dress Like It, Style Elixir, My Girlish Whims, and Get Your Pretty On.